Harrah’s Joilet is one of the best casinos in the Chicago area. While gambling is not legal in the city of Chicago you do not have to go far to get in on some gambling action. There are quite a few casinos that are located very close to the Windy City and no matter what you are looking for in games to play, chances are, you will find it at the casinos around Chicago. The casinos are not only for just gaming, as all of them will have places to eat and drink and some are even hotels where you can stay. They will vary from casino to casino the table limits and games, but all will have the popular ones such as poker, blackjack, and roulette not to mention a wide array of slots offerings. Chicago is one of the biggest cities in the United States and there is no lack of gambling options while the act itself is not legal in the city limits. Chicago is in Illinois and the state does not allow for most gambling, but does allow for it in the form of horse racing and riverboat casinos. However, with the many casinos on Native American land in the state and around its biggest city in Chicago people have a lot to choose from when they want to gamble in the area. In 1990 the Riverboat Gambling Act was passed and it made it legal for riverboat gambling in the state of Illinois. This allows riverboat gambling on any body of water in or on the border in Illinois with the exception of Lake Michigan. The riverboat gambling that is available and near Chicago are located on the Illinois, Mississippi, and Des Plaines rivers. 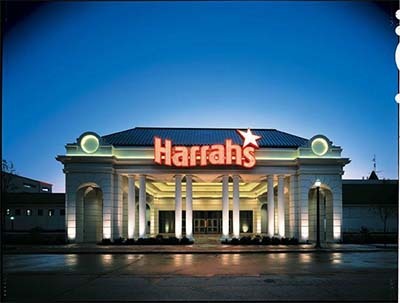 Harrah’s Joliet – Harrah’s Joliet is located in Joliet and is about 44 miles from the city center of Chicago. There are over 1,100 slots in this casino and they also have all the tables games available. There are four gourmet restaurants and there is no lack of poker games that are always going on. Harrah’s Joliet also has a 4.5-star hotel, but don’t bring the kids, as nobody under the age of 21 years of age is allowed. Grand Victoria Casino Elgin – The Grand Victoria Casino Elgin is about an hour away from Chicago and they have over 1,100 slots machines as well as an impressive selection of table games. They were voted Chicagoland’s Best Casino for two years in a row by Casino Player Magazine and they have the loosest verified slots in the Chicago area. Ameristar Hotel Casino East Chicago – The Ameristar Hotel Casino East Chicago is only 25 minutes from downtown Chicago and they have over 1,900 slot machines and over 50 table games. They offer solid buffets and have some upscale dining facilities as well and they have a 4-star hotel and one of the better rewards programs for frequent players. Hollywood Casino Aurora – The Hollywood Casino Aurora has over 1,100 slot machines, 27 table games, and a poker room as well as a High Limit Salon with blackjack with the minimum bet of $25. The casino is 41 miles from downtown Chicago, they offer solid dining options, and have a professional poker room with seven tables where the games range from $5 to no-limit. These are just a few of the bigger casinos around the Chicago area and very easy to get to. There are many casinos all around the Chicago area and no matter what type of game or limit you are looking for you will find it and also find it close to the Windy City.